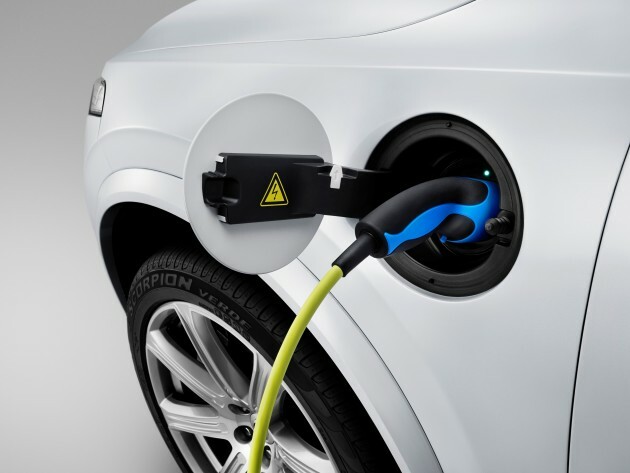 Volvo is planning to introduce further electrification to its range of vehicles by introducing a mid-size all-electric car with a claimed range of 523 km, expected to be introduced by 2019. Furthermore, it says that every new model in the next five years would also be offered with a plug-in hybrid version. No mention was made as to which mid-sized Volvo model will be made into an all-electric powered one but it is likely to be an SUV first before a sedan. The obvious target here would be Tesla with its recent introduction, the Model X. However, should a saloon model be produced as well, the Tesla Model S would also be on Volvo’s competitor list. At the recent unveiling of Volvo’s Global Electrification Strategy in Gothenburg, Sweden, where we also got the opportunity to drive the new Volvo XC90 and uncovered the new T5 Twin Engine powertrain, Peter Mertens, Volvo Research and Development chief said that advancements in technology has enabled plug-in models to be produced that allow for the best combination of efficiency, range and convenience in one package. Volvo’s electrification programme will begin with the 60-series and 90-series range of vehicles, which adopts the company’s new Scalable Platform Architecture (SPA). One only needs to look at the Volvo XC90 T8 Twin Engine to see that the platform was created with plug-in hybrid considerations in mind. However, Volvo is aware that not all customers have a need for an all-wheel drive powertrain in their vehicles. Therefore, it is also in the company’s pipeline to develop and launch a front-wheel drive Twin Engine powertrain. This will reduce the complexity and weight drawbacks of a four-wheel drive setup. That new and more compact plug-in hybrid powertrain will find its way into the all-new range of Volvo 40-series vehicles that will use the new Geely-Volvo developed Compact Modular Architecture (CMA) platform, a key component in the company’s plans to increase its total volume sales to 800,000 cars by 2020, and will be the basis to replace every model in its lineup over the next four years.